For many people, it’s the sights and sounds of Broward County that come to mind when they think of South Florida. With a land area of almost 1,210 square miles, it’s less than half the size of Palm Beach County. Good things often come in small packages, however. Perhaps more than any other county in South Florida, Broward gives you many opportunities to enjoy the great outdoors, with plenty of beaches, water theme parks, nature parks, outdoor festivals, and so much more. Broward’s beaches in particular attract many visitors. For decades, Fort Lauderdale in Broward was the destination of college students on Spring Break. Nowadays, it is more popular with families, with “spring breakers” tending to prefer to stop further north, in Daytona Beach. Still a young county, Broward was carved out of parts of Dade and Palm Beach counties in 1915. It owes its name to former Florida governor Napoleon Bonaparte Broward. While the sun, sand, and sea served as an attraction even then, it took roads, railways and seaports to turn it into a destination and permanent home for so many. First inhabited by small bands of Native Americans somewhat more than 4,000 years ago, Broward County didn’t attract many inhabitants until after the draining of the Everglades began in 1906. But Henry Flagler saw its potential even earlier, when he heard that areas that far south did not suffer from the great freeze of 1895. The first train from the extension of his Palm Beach line reached the New River early the next year. This was followed in the 1920s by the opening of Port Everglades, which today is a popular port both for commercial shipping and the arrival and departure of cruise ships. The county’s population boomed from just over 5,000 inhabitants in 1920 to more than 620,000 about fifty years later. With a population now approaching two million, Broward is the second most populous county in the state. The county’s diversity embraces influences from many Caribbean lands, such as Cuba, Haiti, the Dominican Republic, Jamaica, and Central and South America. As with other counties this far south, Broward features a rich mix of white, Hispanic and Black residents. About one-third of the population speaks a language other than English as their primary language. Nearly one fifth of the population is under 18. One excellent aspect of this, whether cause or effect, is that Broward contains many family-friendly venues and activities. 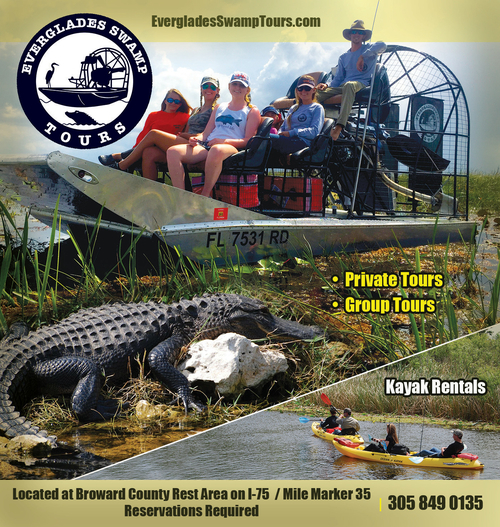 You’ll find museums, halls of fame, beautiful gardens and wildlife sanctuaries, shopping malls, the Everglades, boat tours, and much more. Scuba diving and snorkeling is also a popular activity here, thanks to 23 miles of beaches. At the time of this writing, Broward County is home to 31 incorporated areas, designated either as cities, towns, or villages. The most populous city is Fort Lauderdale, which is also where the county seat is located. Fort Lauderdale is followed by Pembroke Pines, Hollywood, and Miramar. From a high of more than 160,000 residents in Fort Lauderdale, to a low of less than 50 residents in Lazy Lake, Broward offers a wide variety of experiences to suit anyone’s taste. With so much diversity, you and your family will find plenty to do in Broward County.